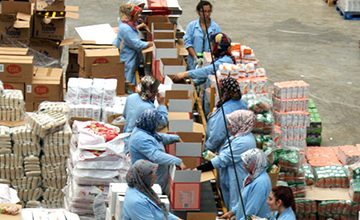 Equatorial logistics was built on the foundation of Food logistics services. The high-level standard requirements are not only applied by Equatorial logistics, they are also carved within the heart of the company. 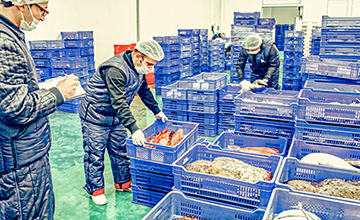 Equatorial logistics in has managed the logistics of over 4.000.000 tons of food products across different product levels for over 460 local and global food manufacturers and brands in the food sector. Managing a Daily transport of over 20 truck load’s with over 3000 daily deliveries under stringent standards is enough to define Equatorial logistics as a service provider with an in-depth market expertise in the food sector. Equatorial logistics offers a broad range of services for different type of product categories within the food and beverage sectors, ranging from dairy to confectionery, frozen food to fresh produce. 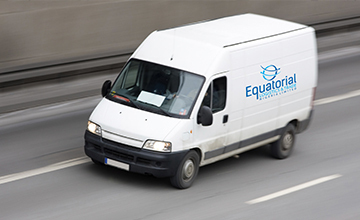 Equatorial the logistics works together with its customers to define market peaks, forecast and manage the seasonality’s to assure the availability of product on the shelf. Equatorial Logistics offers its customers in food sector a global reach using a combination of Air, Sea, Road and multimodal transport modes. 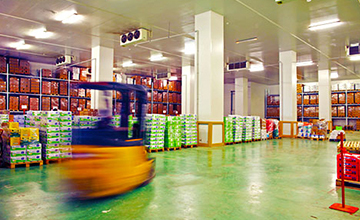 A full line of ambient and temperature controlled transport services for the food industry are available for customers looking to import products from global markets or customers looking to sell their products around the world. 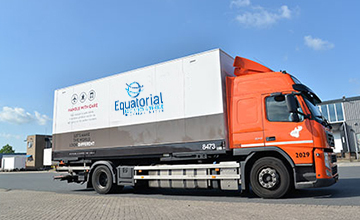 Equatorial operates a fleet of over 10 reefer trailer units for ccross countrytrucking services on top of its global air and sea freight service capabilities. 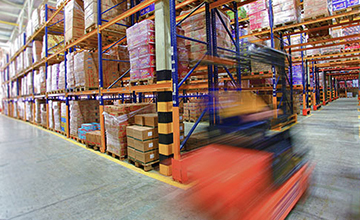 Equatorial logistics manages over 2 food-grade warehouses with a storage space of over offering solutions under general, customs bonded and temperature controlled environments. Equatorial Logistics manages the product flow of over 20 customers in food sector under first expire first out (FEFO) standard within Nigeria. Equatorial Logistics is the leader in temperature control logistics services relying on strategic partners in Turkey, with Europe, Middle East and Central Asia logistics capabilities and a global service offering. Offering full temperature control visibility during the supply chain process, Equatorial logistics is the service provider of choice for over 60 local and global brands. Offering dedicated micro distribution services reaching out to 3000 mom & pop and convenience stores across its region with extensive value added solutions such as Retail Selling, Shelf Replenishment, and Procurement services on behalf of the brands, Equatorial logistics is a unique service provider in terms of the segments it covers within the Food sector. 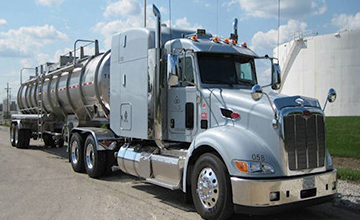 Equatorial Logistics is a leading transport services company for liquid bulk food and food stuff. Equatorial Logistics offers specialized solutions for customers looking to move bulk products across the country and the continent. Offering asset and non-asset based solutions for transport of milk, cooking oil, cacao, and starch products, Equatorial logistics currently transports over 200 Tons of liquid bulk food products Daily with a fleet of over 5 liquid bulk food tankers. 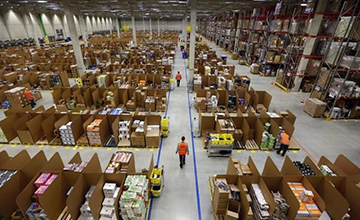 Equatorial Logistics offers specialized solutions for food retailers as well as companies selling to these retailers. Equatorial Logistics Solutions makes it easier for producers to deliver Cargo to retailers and enables retailers to receive the already controlled Cargo faster to their shops thus cutting the delivery acceptance times down by %70. 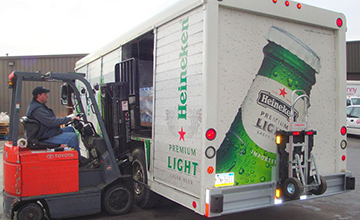 Beverage sector requires a very tight control over logistics costs. Due to the low-value nature of the products(excluding alcohol products), it is imperative that the shipments are planned and delivered with most efficient routing to cutting down the overall trucking costs. Equatorial logistics works together with customers of the same nature with similar product categories and sales points to increase both vehicle utilizations and decrease the cost of delivered product by consolidating shipments under the same destination truck achieving lower trucking costs. Equatorial Logistics offers a full range of value-added services for food manufacturers and retailers, making it possible to maximize the efficiency and speed with which their supply chain operates. In addition to offering basic capabilities under all temperature controlled environments, Equatorial logistics is also able to add further value-added services to meet the needs of its customers and adapt to their deeply customized supply chain systems. Equatorial logistics offers a full range of value added services for food manufacturers and retailers, making it possible to maximize the efficiency and speed with which their supply chain operates. In addition to offering basic capabilities under all temperature controlled environments Equatorial logistics is also able to add further value added services to meet the needs of its customers and adapt to their deeply customized supply chain systems.